Up until recent years most medical doctors concentrated on treating only the specific symptoms or diseases of their patients. However, there’s been a big movement to take a different approach to treating patients. This approach focuses on treating the whole patient rather than just treating a specific disease process. This means doctors do more than just prescribe medications or recommend surgery. The benefits of Integrative Medicine include taking a more holistic approach that helps people shift into a healthier lifestyle and do things that will naturally improve their health. Examples include yoga, tai chi, and meditation…and the list goes on. 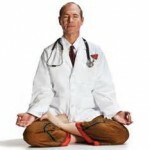 Disorders that benefit from the use of Integrative Medicine. Include depression, anxiety, AIDS, chronic pain, and rheumatic diseases. Doctors are finding that patients don’t want to just be prescribed pills for various issues, they want to know how to prevent the issues or limit the damage that disease can have on their bodies. The benefits of Integrative Medicine can also be helpful for people who have narrowing of the arteries, high cholesterol, and high blood pressure. All of those put them at risk for serious cardiovascular damage and/or death. Making certain lifestyle changes, such as taking up yoga and learning how to deal with stress in a healthy way can be extremely effective at improving lifestyles and overall health. 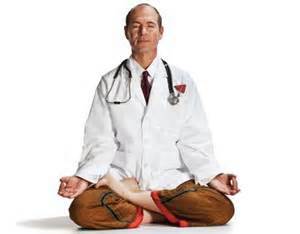 Cancer treatment centers are also starting to see the advantages of Integrative Medicine. Many of them use visualization techniques, tai chi, and massage therapy as a way to help patients deal with the treatment process both physically and emotionally. Taking a whole body approach to cancer and other serious diseases has a positive impact on patients as they move through the disease process and many times, a positive impact on their respective outcomes. Massage therapy, acupuncture, biofeedback, yoga, and nutritional counseling are all under the umbrella of Integrative Medicine. They are now being used in larger teaching hospitals and treatment centers. The benefits of treating the whole person gives a more patient focused approach to medicine, which means the patients are more involved in their own care. This is an important distinction and allows patients to be more proactive by giving them a sense of control regarding their bodies.